You always want to update all your software if you want to stay away from malware attacks. Every time a vulnerability is discovered and reported, software developers update their programs to fix it. So, try to update every piece of software you use as often as you can. This will help keep you away from potential issues. Whenever you deal with cracked software, you might be putting your computer at risk. Many malware infections come from unwanted software, installed from disreputable sources. That’s why you should consider using only licensed software. Installing security software helps you avoid malware infections or attacks. There are multiple antivirus solutions on the market you can rely on. Plus, you can choose to install an internet security software that includes additional features, depending on your needs. While the options listed above create additional layers of security, having a backup for your data is the only guaranteed way to ensure your data’s safety. You can opt for either a local or a cloud backup, ideally both. 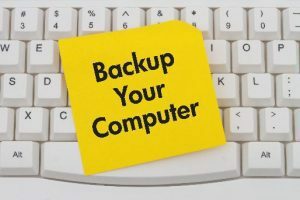 Local backups mean that you’ll be keeping the data on a computer or external storage that’s not connected to the internet. Cloud backups mean storing data on secure servers from companies like Google, Amazon, Microsoft, Dropbox or other cloud storage providers. Either way, creating a backup of your data is crucial for recovering from any malware attack or hardware failure. Investing in a proper backup solution is a must.